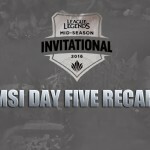 Over 100,000 concurrent Twitch viewers tuned in Saturday to watch the marquee winner’s match between Team Liquid and Gold Coin United on Day Two of the North American League Championship Series Promotion tournament for the resolution of some major storylines. 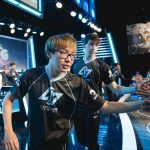 Would Kim “Fenix” Jae-hun and Yoonsup “Locodoco” Choi earn an NA LCS birth on the backs of their former team? 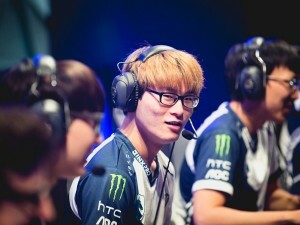 Would the legendary Hong “MadLife” Min-gi find an esports rebirth in North America? 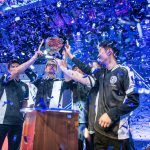 Would Team Liquid’s controversial acquisition of former (and likely future) TSM member Yiliang “Doublelift” Peng payoff? The series provided the answers. Team Liquid began with a surprising Karthus pick that had only been seen once during the LCS Spring Split prior to Saturday. Fenix was largely expected to dominate the mid-lane inexperienced Chae “Piglet” Gwang-jin, but the Karthus pick allowed him to farm safely and stay effective regardless of Fenix’s laning phase advantages. 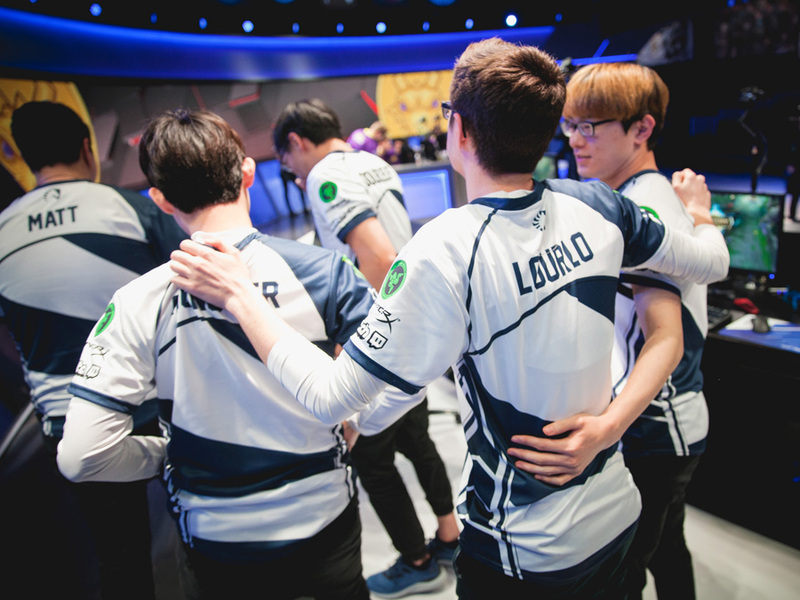 With Piglet playing safely, Kim “Reignover” Ui-jin focused his attention on setting up camp on GCU’s top lane, and Team Liquid picked up two confident victories to start the series. GCU finally banned out the Karthus pick for game 3, and Fenix made a point to prove why he’s viewed as GCU’s mid-lane star. It was very clear that Piglet was simply not prepared for the kill potential of a Hextech Protobelt Vladimir, and he got solo-killed in lane several times. 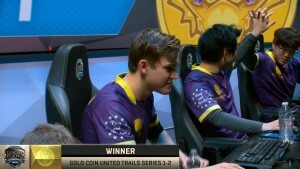 However, after a Baron steal by Reignover and Doublelift, TL brought GCU’s nexus down to a few hundred health points before being forced to retreat to defend their own nexus against a minion wave threatening to end the game. GCU finally ended the 49-minute game when all five members got the inside track on mid and rushed down TL’s nexus. Gold Coin United celebrates their game 3 win. In game 5 Team Liquid immediately took control. Two cross map plays with a gank top by Reignover and a roam mid by Matt “Matt” Elento’s Malzahar gave TL an early lead, and they never let it go. Because of the early support, Piglet managed to easily win his lane, and his boost of confidence showed with impressive Ahri outplays throughout the game. Team Liquid was the more proactive team this game, and their efforts earned them a trip back to the NA LCS. 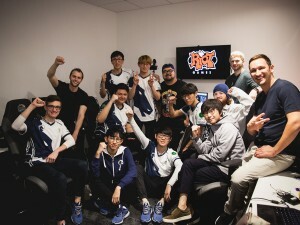 Team Liquid celebrates their return to NA LCS. 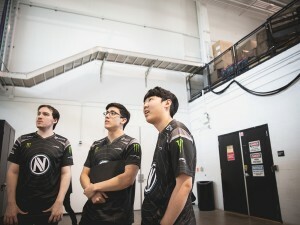 Members of Team EnVyUs pre-match. The other match of the day saw Team EnVyUs keep their LCS hopes alive with a decisive 3-1 victory over eUnited. Coming into this tournament, eUnited fans were hopeful that veteran jungler Berk “Gilius” Demir would lead this team to success. He showed flashes of greatness, including a 6/0/6 Game 2 performance. 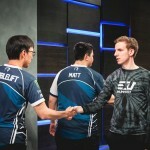 Despite his top notch efforts, Gilius could not carry through the clear mismatch top lane between nV’s Shin “Seraph” Woo-yeong and Eric “Licorice” Ritchie. Seraph had one of the greatest performances of his professional career and reminded viewers why he was so hyped when he was originally imported into the LCS. 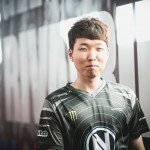 He finished the series with a KDA of 11.75, including zero deaths in each of nV’s wins during Saturday’s match. 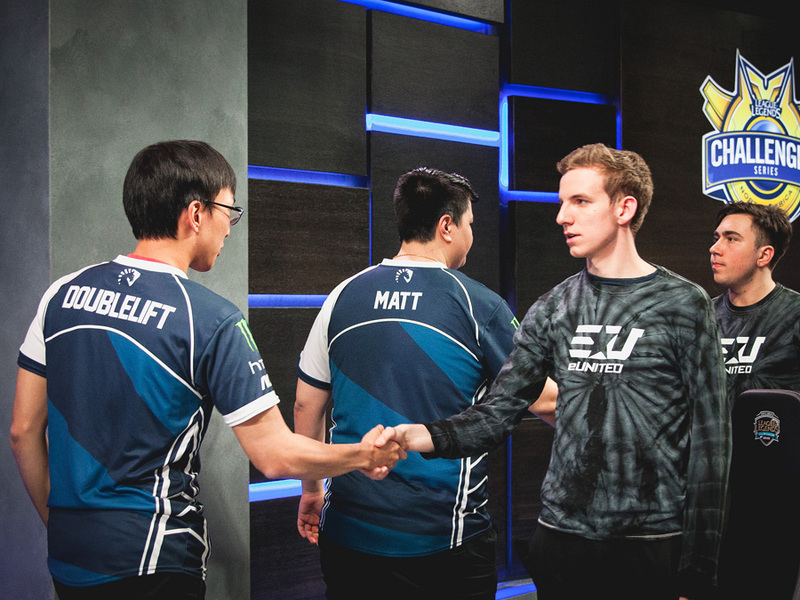 Saturday’s loss means eUnited will return to the NA Challenger Series for the summer split. 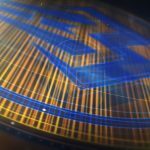 Gold Coin United will take on Team EnVyUs in a rematch on Sunday with the final NA LCS spot on the line.